Tesla is now aiming to accelerate the timeline of Gigafactory 3’s construction even further. The electric car maker recently released its Q3 2018 vehicle production and deliveries report, revealing that it produced and delivered more than 80,000 electric cars over the past quarter. The company’s Q3 report also mentioned that its Model S and X vehicles saw increased deliveries despite headwinds from the ongoing trade tensions between the United States and China, which add a 40% import tariff on Tesla vehicles entering the country. Tesla notes that overall, it is “operating at a 55% to 60% cost disadvantage compared to the exact same car locally produced in China.” To help address these challenges, Tesla revealed that it is accelerating the construction of Gigafactory 3, which, unlike Gigafactory 1 in Nevada, will be capable of producing electric vehicles. 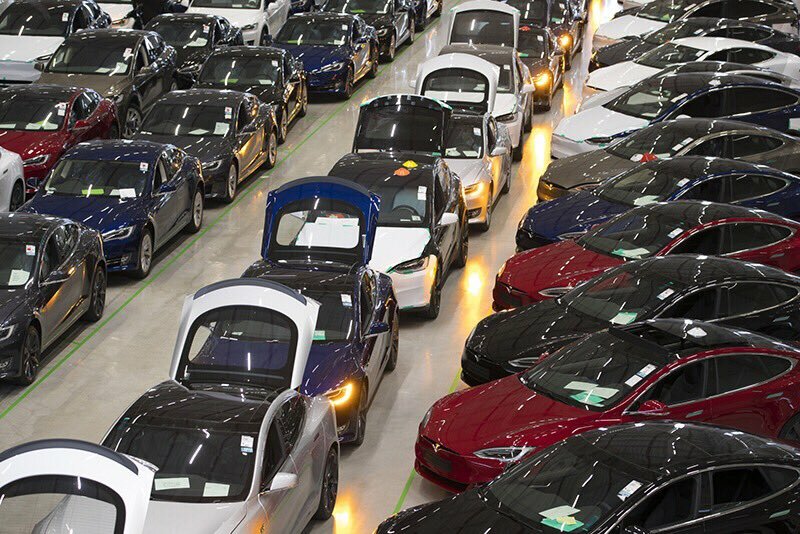 “We are accelerating construction of our Shanghai factory, which we expect to be a capital efficient and rapid buildout, using many lessons learned from the Model 3 ramp in North America,” Tesla indicated in its Q3 deliveries and production report. This is something that Tesla teased during its past Q2 2018 earnings call, when CEO Elon Musk and CTO JB Straubel noted that the Shanghai factory would likely be less capital intensive as the company’s facilities in the United States. Musk, for one, noted that Tesla is confident it “can do the Gigafactory in China for a lot less,” adding that the cost of the facility would likely be “closer to $2 billion” at the 250,000 vehicle-per-year rate. Straubel further noted that the company had found several ways to improve efficiency and speed. “We found a surprising number of ways to improve efficiency and speed and density as well at Gigafactory 1, and all those lessons will absolutely be shared with Gigafactory 3. In just recent weeks and months, we found some – certain areas of production that have been very capital intensive that we’ve been able to speed up with almost no additional CapEx by maybe 20%, even 25% or 30%,” Straubel said. Tesla did not reveal its updated timeline for Gigafactory 3’s construction, but considering its ambitious initial goal, the new schedule would likely raise even more eyebrows. That said, Tesla’s aim of getting Gigafactory 3 operational within the next couple of years is something that is not as farfetched as the company’s skeptics would assert. The project, after all, has already started moving, with local news site Beijing Business Daily previously noting that around 30% of the facility’s funds are now ready. Reports have also emerged stating that the Shanghai government is assisting Tesla in acquiring loans from local banks to help fund the construction of Gigafactory 3. Inasmuch as Tesla’s accelerated timeline for Gigafactory 3’s construction is very ambitious, the capability of China to construct large structures quickly could prove to be a strategic advantage for the electric car maker. Chinese construction firms, after all, are responsible for quick, precise feats of engineering, which included projects like setting up a track replacement for a train station in 8.5 hours, and constructing a full-fledged 57-story skyscraper in just 19 days. If Tesla taps into the country’s premier construction workforce, Gigafactory 3 would likely start operations sooner than expected.